The days are getting shorter, and customers are getting ready to whip out their credit cards and start spending like no other time of the year. If you manage an e-commerce store, chances are you can expect to see an uptick over the coming weeks; 2016 holiday sales are expected to exceed $1 trillion. We asked some of our customers if they are planning to do anything unique this holiday shopping season. Interestingly, 46% responded that they didn’t plan to change anything at all. Another 18% are unsure, and the remaining 36% are planning to make some changes to take advantage of this busy spending period and prepare for the increased activity. If you’re among those wondering what, if anything, you ought to be doing to get the most out of this busy time, take note of our top pointers on how to prepare your WooCommerce store for the holidays. 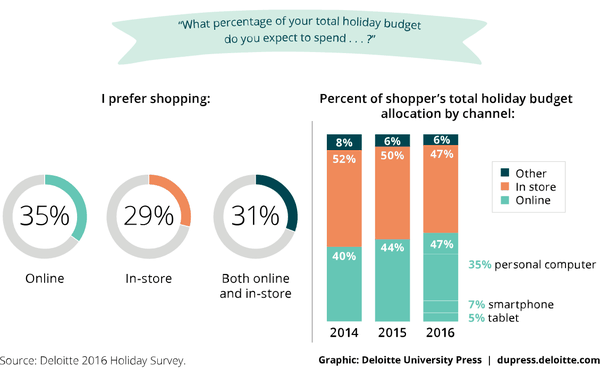 The annual Deloitte Holiday Survey predicts that online shopping will hold its place as the most popular retail venue, with record breaking web traffic over the 2016 holiday season. Before you start counting dollar signs, this should come as a warning to be prepared for traffic spikes. Even small decreases in site speed can cause customers to lose patience and move on to other options. You can expect 40% of customers to abandon your page if it lags by just three seconds. Ensure that you’re running the latest version of WooCommerce. Check that your theme and all plugins are up to date, and run speed tests to ensure that none of these are slowing your site down. Upgrade your hosting plan for the holidays. Find the best hosting service to get you through this season and beyond. Contact a developer to help you troubleshoot potential issues and manage all of the above. Black Friday and Cyber Monday are massive sales days for a reason. Customers know that they can buy just about anything on their list for a steal. Whether or not you want to offer discounts, they are an undeniable asset for increasing sales. Perhaps less obvious, free shipping can be a substantial incentive for customers. A Wharton study even found that free shipping was more attractive to customers than a price discount that would save them more. If you don’t already offer free shipping, this is a great tactic to consider for the holidays, particularly if you want to drive sales without compromising your standard pricing. Beyond the basics, stores stand to benefit from getting creative, particularly during the frenzied holiday period. New products, limited time offers, gifts with purchases… if you give a little you’re likely to get something in return. Our customers report that they’re using a wide array of tools to optimize online sales during the holidays, including social media, PPC, & email marketing. But no matter how you plan to grow sales, don’t forget analytics. Without analytics, the rest of your holiday marketing efforts won’t stand a chance at reaching their potential. Use analytics to track which days or marketing initiatives drive the most traffic and conversions, what products are most popular, where you’re losing potential customers… the list goes on. Be prepared to respond quickly to get the most out of your marketing efforts, and don’t be afraid to scrap a marketing strategy that isn’t working. The stakes are high for brands that are able to be responsive. Remember we mentioned how impatient customers can be with slow websites? That’s just one of the issues that you may have to deal with during this busy period. Shipping delays, inventory issues, human error, stressed out and cranky shoppers… you may want to consider hiring additional temporary support staff. At the minimum, be prepared to respond quickly and generously to customers who run into issues on your site. This is one of those cases where the rules of traditional retail still reigns supreme: the customer is always right. Make them feel that way, even when they aren’t. Finally, be sure to take a moment to appreciate what the holidays are all about. We wish you a fruitful season! What are your plans for selling more this season? Is your shop expecting a boost? One to add which we learnt from last year, ensuring that your customers can shop easily from a variety of devices is essential in the holiday rush. Missing out on sales from tablets or mobile can really put a sting in your sales. It’ll be nice to see some examples of sites powered by Pagely (beyond corporate logos) including those that do ecommerce via WooCommerce. Thank you.